Submitting this enquiry does not put you under any obligation. This is an enquiry form only. 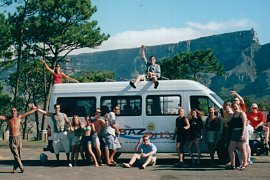 Baz Bus will confirm the availability of the dates you specify as well as the rate which would be charged. The booking procedure and other pertinent documentation will be sent to you, by e-mail.